Did you need any better reasons to send flowers than that? Save money when you send a loved one flowers. Because florists can’t maintain a full inventory of every available flower, they will often have to substitute varieties within an arrangement when fulfilling an order they receive via a wire service. Most websites include a disclaimer that informs the customer that substitutions are a possibility, including variances in containers. As a result, the final arrangement delivered to a loved one may not look exactly like the one shown on the website image. Another aspect of using a wire service is the possibility that you may pay extra fees—not so in all parts of the world but prevalent in certain countries. To make a profit, these wire services charge fees to cover the costs affiliated with maintaining the network, creating the website, marketing flowers in ad campaigns and other related costs of business. Typically, those fees get added to the price of the flower arrangement. In some cases, these fees can be substantial. Ten or 15 years ago, that process made sense. After all, trying to locate the name of a florist near Grandma’s home wasn’t an easy task. But today, the Internet has simplified that undertaking. Using Google maps or another search engine, you can now type in Grandma’s address and then simply search for florists nearby. Voila! The search engine provides a map showing local florists, including phone numbers and, often, even direct links to the retailers’ websites. You can then contact the florist directly. You’ll benefit in multiple ways. For one, you can talk to the florist and describe the type of arrangement you want to send, and the florist can verify what flowers and containers are available to meet your desires. In addition, you’ll save on the fees you would have otherwise paid for the convenience of using a wire service. Concerned that choosing a “random” florist will result in an arrangement that doesn’t meet your standards? Here’s another tip: Search for a funeral business near Grandma’s home. Then call that number and ask the funeral director to recommend a nearby florist. Funeral homes develop close relationships with florists and are familiar with who provides the best service and quality. You can rest assured you’ll be referred to someone who will deliver a flower arrangement that will bring a smile to Grandma’s face—and keep her smiling for days afterward. You can also use a reliable online florist directory that lists recommended florists in your area. We’ve started building a directory of recommended florists in South Africa, and may extend this service to other countries in the near future. 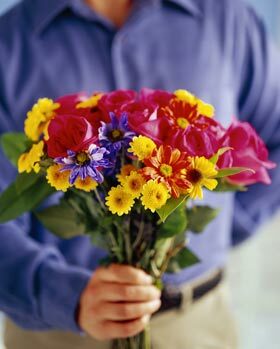 For more information on finding a florist online and ordering flowers safely, read this article. Live close enough to take flowers to Grandma personally? Consider creating an arrangement in a fun, cheerful and reusable cupcake vase. You simply place individual stems of flowers in holes located on the top of the cupcake-shaped holder to create the floral frosting. Available on Amazon, the vases are available in a variety of colors—pink, yellow, white, turquoise and chocolate brown. As always, we would love to hear you. What has your experience with using wire services been, or do you prefer searching for a local florist. Let us know in the comments below. Cute cupcake vase! The flowers look like they may be silk? I’d love to know . They certainly are very cute! I believe the cupcake vases are designed to accept any type of flowers, either artificial or fresh. I think they have a water reservoir you can fill and to which you can add floral preservative. Thanks for the informing readers on how to save money. 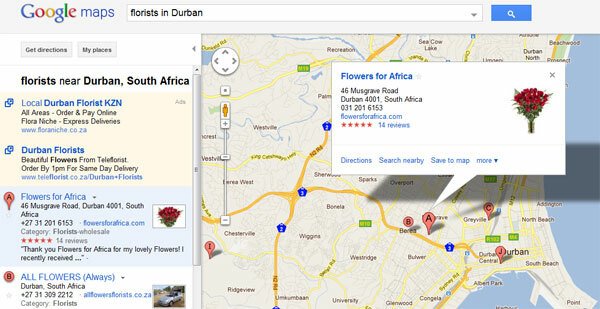 Funny, how I never thought to Google a florist’s in the area of the person I want to send the flowers too. Cleaver idea of calling a Funeral home for their recommendation. Thanks for the great tips Gina! Glad to help! I’m known among my friends as the go-to gal for tips like this after having been editor of a florist maagazine for several years. I’m constantly working to educate them (and everyone!) about the benefits of fresh flowers and how to find fun, affordable and beautiful ways to use them around their homes. Getting a recommendation from the Funeral Home in the location where I plan to send flower arrangements for my Aunt’s funeral would have helped me. This is very helpful information to know. Thank you. I got that tip a long time ago when I worked on an article about how florists can work more effectively with funeral directiors. Just makes sense, doesn’t it? I must say Gina, as I was publishing your article, I also thought to myself what a great idea you had to phone the funeral homes for recommendations. Well done on another great article! It’s a pleasure to provide info on a subject for which I have such passion! Hi Gina, As a publisher, and not a working florist, I can see that your recommendations to go online and google for a florist, or call a funeral home, may seem like the best solution to dodging the true ‘order-gatherers’ such as the 1-800.com outlets everywhere. Those gatherers are telemarketers who don’t know a protea from a pepper-berry or whether a circus rose is preferable to a leonaidis for a particular occasion.However, we florists sell flowers as our livlihood, and part of customer service is getting that floral gift delivered. Locally or internationally.For two years I randomly contacted florists in Yugoslavia or Japan and etc to see if it was truly possible to sidestep the fees –we– have to pay to the interflora network that has all the connections to route our orders elsewhere. Language problems were difficult. Some large cities only had one or two florists on google and I could see no possilble way to be able to offer our customers a guarantee. On their own, I doubt that customers are more order-savvy than we, and the small sending fee that is charged to a customer is for the discussion relative to the order, assisting them in their selection, showing sample photos of possible gifts in their price range, placing the order –and most importantly–because of the size of Interflora, FTD, Teleflora, Petals, etc.,–we are able to offer each customer a guarantee. If there is any doubt that you do not receive what you believe you ordered, fresh, on-time, that will be rectified. If the customer doesn’t follow-up and then complains, little can be done.No fan of having to pay large fees so that our business can access national and international sending, with that guarantee, I must say that offering this service expands trust between our customers and us. And, yes there is a fee. Calla: You make several good points–especially in regard to sending flowers to another country. As you encountered, often language barriers exist that can interfere with finding a florist (whether you are a consumer or a sending florist). In these cases, the fees are obviously money well-spent in terms of convenience, ease of service and accountability (that the recipient got what the buyer expected). In this regard, consumers and florists likely need to rely on the use of a wire service to handle those complexities. Thanks for expanding on the topic and sharing some useful advice! Wire services have a place, but it really is best to deal with a local florist….save time, money and stress !!! Agreed. Sometimes consumers do need to use a wire service. But in those cases in which a consumer has the ability to use a local florist, it most definitely is to their advantage to do so. As a florist, I much prefer recieving an order directly from a customer rather than one through a wire service/call center. Florists only recieve a percentage of the dollar amount that is shown on the order! I always educate my customers about contacting a florist directly and truly appreciate it when a customer calls me directly or orders through MY website rather than ordering through a wire service/ call center. I recieve 100% of the money and of course the customer gets better value! You are right on all points–not to mention that, by talking directly to the giver, you can find out if the recipient has special favorites you can incorporate into the design, colors they might prefer, certain styles of vases that might be more appropriate than traditional glass urns, etc. The many pros to contacting a florist directly nearly always outweigh the pros associated with going through a wire service. I agree with most of the above -recieving an order direct from your own website is preferred income for business, but I’m a true beliver that a service like Interflora which is run by florists can be a safe net when ordering for an unfamiliar country with language and location issues. Even if human error does occurr you have a way to get that corrected, and most florists in particulary Interlfora sit an exam before becoming a member, so there is a general stand of workmanship. For myself websites make me nervous….how can you be certain the photo being viewed is the work of the florist there? This is why I try and put our logo watermark on our photos to show this is our work done in the shop and not a photo picked from someone elses website(which I have seen). Thank you very much for your insightful comment. You raise an interesting point regarding websites and the imagery they might be using. This really of course boils down to trust and credibility, which is why it is so important for florists to maintain a quality web presence and build trust and credibility in their brand with consumers. As for the phoning funeral homes tip, a number of our readers (florists) have pointed out that this might not be such a good idea, which is why we love these discussions in the comments, and find them so incredibly valuable. We can all learn something from each other. I think with the growth in Pinterest, we’ll see more florists become as savvy as you are in watermarking their photos. It’s so hard to ascertain where a photo comes from sometimes, so that technique is particularly smart to make sure the consumer understands that the florist with whom they are doing business is the one who created that design. Thanks for taking the time to share your thoughts! I greatly appreciate it! Again, thanks for the nice note!